What Is Stack That Money- Scam Or Worth $99 A Month? Wondering what Stack That Money is all about and whether not it’s another scam you should avoid? If you have landed on this review then you’re likely looking for information about what this is and wondering if its a scam. If you answered yes, then you’re definitely in the right place as I’ll be going into complete detail about how this program works and showing you how much money you’ll need to pay to become successful with this system. I’m sure that many of you guys have questions about this program and I’ll be doing my absolute best to answer them for you guys today. However, as always if you still have questions after reading this review then I would love to answer them for you in the comments below. What Exactly Is Stack That Money ? 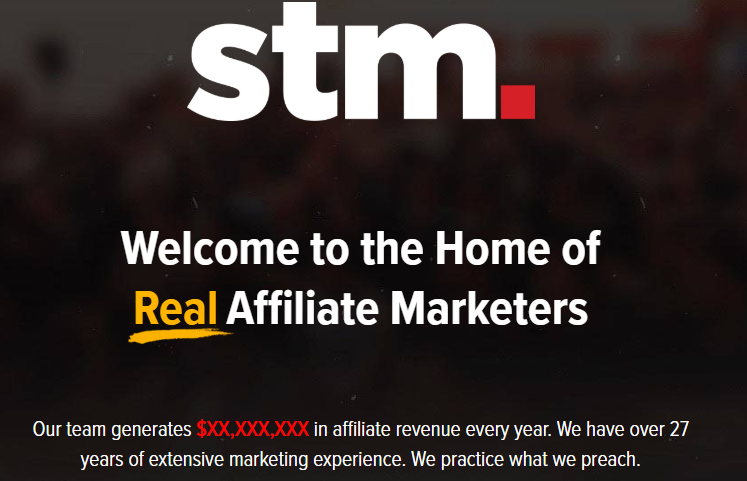 Stack That Money or STM for short is an affiliate marketing training community/ forum similar to Wealthy Affiliate that specializes in using paid traffic and other forms of paid advertising. This online paid traffic forum community has actually been around for a good number of years (since 2011 to be exact) and I have read nothing but positive reviews about them. I was actually pretty surprised when I started doing research on this company!! When you hear a name like Stack That Money, what’s the first thing that comes to your mind? Does get rich quick ring a bell for any of you guys out there? If so then don’t worry you’re not alone as this is the first thing that popped into my head as well the minute I landed on their website. However, I quickly changed my opinion of them once I landed in the member’s area and this is what I’ll be walking you guys through in the next section so I encourage you to continue reading. 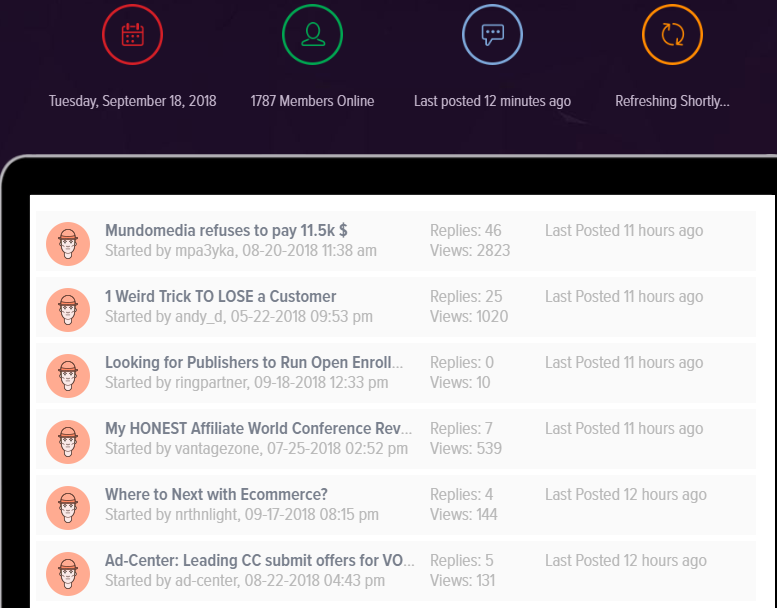 I was actually pretty impressed as I made my way to the member’s area as I have joined a plethora of similar affiliate marketing training centers and close to 95% of them were absolutely worthless. I found that this online community consists of a whole lot more than a forum and I’ll be listing everything that you’ll gain access to below. Also as if that wasn’t enough then you’ll also gain access to various case studies that show you different traffic sources that they used to take their business from $0 to $15 million a year. There are also detailed guides that walk you through the various aspects of affiliate marketing and will provide you with feedback on your ad campaigns so that you can improve them so that they convert better. One of the particular areas that I thoroughly enjoyed was their outsourcing section. I have personally been looking for some quality information on this topic for at least 2 or 3 years now so as you can imagine this was a breath of fresh air for me. There are several detailed guides that walk you through the steps and show you how to effectively outsource some of the tasks that you just don’t feel like dealing with. There is also a complete section reserved for showing you how to effectively manage the employees that you have hired to handle these tedious jobs that you think other people are more qualified to handle. Looking For A Newbie Training Course That Focuses On Basic Affiliate Marketing & Let’s You Get Started For Free? Click Here To Learn More!! In the year 2018 forums are pretty much a thing of the past so what makes the STM forum any different? Well, how many times have you paid a monthly membership fee each money to gain access to a forum? Can I get a show of hands, please? Most free forums that you’ll find on the internet are usually filled with tons of low quality content and spam and this is one of the main reasons you need to pay to access this one. Take a look at how active their forum is below to get a better idea of what I’m talking about!! As you can see above, there is a decent amount of activity going on inside their forum and to my surprise, nearly 2,000 members are on at this current time. You’ll also gain access to their affiliate job portal where you can list various jobs that you would like to outsource and get them filled right here. While there are a few sections of their forum that I felt were slightly outdated and inactive, overall I think this would be an excellent source for you to get the help you need. In case you haven’t noticed already, this affiliate marketing training platform is geared more towards advanced marketers who are looking to take their business to the next level and invest in paid advertising. If you’re a newbie who is just getting started online then I don’t think STM would be a good fit for you at this time as their main focus is using paid ads and learning marketing techniques that cost money. If you’re just getting started online and you don’t have a lot of cash to get started then I feel like this program here would fit into your budget better and be a much better alternative to this program. However, if you’re the type of person who has a good deal of money to throw around and you would rather skip straight to paid traffic then I couldn’t think of a better program to help you master this. This is something that other low quality MMO systems claim to offer but once you arrive in the member’s area you find out that you’ll need to pay extra to unlock this feature. Does this ring a bell for any of you out there? Also, from time to time you’ll see a few popular leaders in the affiliate marketing industry like Neil Patel that will peek their head in and start a conversation. If you’re looking for a place to bump heads with a few of the most highly successful marketers in the industry and learn cutting-edge secrets from the founders themselves then you definitely need to attend these conferences. These are held twice a year at some of the most exotic locations across the world. Take a look at the screenshot that I’ve captured for you guys below to get a better idea of what I’m talking about. As you can see above they have already been to quite a few exotic locations where they meet up twice a year and once an event is close they will post the ticket prices that you’ll need to pay to attend. 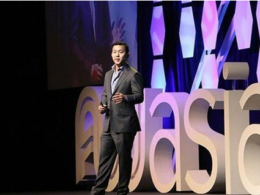 For those of you who are ready to take your business to the next level with CPA marketing then I would highly recommend you check out the iStack training. Of course, this isn’t covered with your basic membership and you’ll need to pay extra for this training. If you have ever been interested in learning about CPA marketing and learning how to earn money utilizing this amazing business model then I think you owe it to yourself to check out this training module for yourself. There are also additional training modules that you can either purchase separately or bundle as a package for additional savings. 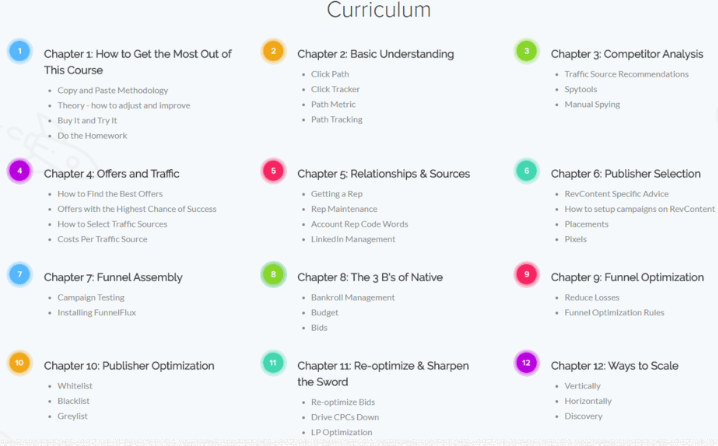 I’ll be disclosing the true you’ll pay for these bundles/ courses as well as the native ads course that you see pictured above in the next section so continue reading. How Much Will This End Up Costing You In The Long Run? As you can probably guess, once you start adding up the costs that you’ll need to pay to utilize the training and gain access to industry experts you’ll end up paying quite a bit for these products and services. Like I said earlier, to access the basic training you’ll need to pay a monthly fee of $99/ month which doesn’t include even half of the features that I listed above in this review. Here are a few other costs that you’ll incur if you decide to go all in and purchase the additional upsells associated with this program. These can be purchased as stand-alone courses for a flat fee of $197 each or bundled together to save you money. Also if you’re interested in investing in a complete course on using CPA marketing via Native ads then you can purchase the iStack training for a one time fee of $1,497. From the few things that I’ve mentioned so far you’re looking at having close to $2,000 or more wrapped up into this program and you haven’t even run your first ad yet. I don’t personally have a great deal of experience dabbing with paid ads but from the little bit of experience that I do have, I can tell you this can get quite expensive fairly quickly. Especially if you don’t really know what you’re doing or understand the terminology that used within these paid ad platforms. Running ads can get quite expensive if you don’t know what terms like CPM, CTR, Impressions, and EPC mean as these are terms you’ll need to analyze to determine your profit. If I was to take a stab at it I would say that you would roughly need to invest a minimum of anywhere from $1,000 to $5,000 in order for you to soak all of this training in a learn how to make a profit. Is Stack That Money Really Worth Your Time & Hard Earned Money? I guess this really depends on whether you’re an advanced marketer or a newbie who is just getting started. If you have no prior experience with affiliate marketing and you’re looking to learn the basics then I would have to say NO. However, if you’re an advanced marketer who has already mastered SEO and the various free methods of driving targeted traffic to your site and you’re looking for an awesome paid ads training course then I would say YES. It’s also important to keep in mind that besides the $99 monthly fee that you’ll need to pay each month, you’ll also have to spend a great deal of money on ads which can get quite expensive like I mentioned earlier. All I have to say is if you have the budget to invest in this training platform and you can afford the monthly fee then I would highly recommend it as I personally think the training is phenomenal and well worth your money. Have you guys heard the saying crawl before you walk? Learn to walk before you can run? Well, this especially holds true for the affiliate marketing world and a key principle that I like to stay true to myself. Like I said earlier if you’re a newbie who is just getting started online and you don’t have a whole lot of money then I personally feel like Wealthy Affiliate would be a much better option for you to get started. Well, for starters they allow you to get started for free and test drive everything they have to offer before handing over your credit card number. Also, your starter membership contains everything you need to get started online and you’ll be learning how to generate traffic to your site using free SEO techniques. As if that wasn’t enough you’ll also gain access to me along with other highly successful internet marketing experts who are currently earning a 4, 5, and 6 figure monthly income. If this sounds like something that you would be interested in learning more about then I would highly recommend that you check out Wealthy Affiliate for yourself and see what they can do for you. Other than that I really hope this Stack That Money Review has given you guys an inside look at what this community is all about and whether this would make a good fit for you or not. Are you currently a member of STM with a story you would like to share with everyone here today? I would love to hear all about it as well as answer any additional questions you may have in the comments below.